Child custody cases are among the most emotionally difficult cases most people deal with. That is why it must be handled by someone who both understands the legal intricacies and can discuss these difficult issues with with honesty and compassion. 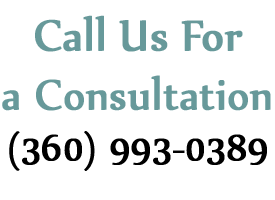 Robert Vukanovich Attorney at Law is an experienced child custody attorney in Vancouver, WA offering both the knowledge to help you fight for your custody rights as well as an empathetic support throughout the process. These cases can, at times, involve no more than drafting an agreed upon custody and visitation plan. Often times, however, it does become contentious, necessitating proof that the other party is not the best fit for child custody. It can be extremely difficult to change or undo what was decided in the early stages child custody cases. That is why having a child custody attorney who will aggressively fight for your rights and those of your loved ones is paramount. Child custody cases involve what is in the child’s best interest. Influencing factors in deciding the best interest range from the child’s age to the lifestyle and social aspects of each parent. There are a great many aspects that can be considered influential. Sorting them and compiling proof can feel overwhelming without the help of a child custody attorney. In addition to the living arrangements and visitation rights determined by a child custody arrangement, there is also a determination made about decision-making abilities. This is the difference between legal custody and physical custody. Legal custody deals with concerns such as education, medical care, discipline, and religion, while physical custody is only about where a child will live. As an experienced child custody attorney in Vancouver, WA for over 25 years, Robert Vukanovich intimately understands all the relevant federal and Washington State laws that apply to child custody cases. Our law office is diligent in finding any and all necessary documentation to help your case. We are committed to helping resolve your case as amicably as is possible. When that is not possible, we are devoted to helping you achieve the best case solution in the interest of the child. In these emotionally charged situations, Robert Vukanovich is your partner throughout the process. Working for your best outcome, he is dedicated to completing a long-term resolution. Whether you are working out a custody plan with an agreeable partner or dealing with a contentious situation, we are here to support your rights and the welfare of your child. Contact our law offices today and put a compassionate and thorough child custody attorney in Vancouver, WA on your side!